Launched back in 2016, the Himalayan had a lot going for it, from being the first indigenously developed adventure bike in the country to being the most affordable one as well. Unfortunately, the bike was plagued with reliability and part failure issues, hampering its image. Cut to 2018 and the BSIV-complaint version had a few issues resolved - it’s a lot more refined and has a better grunt from the engine, however, electrical issues still remain prevalent. Royal Enfield is also set to launch its 650 twins in the Indian market. However, their launch has been delayed as they are still being put through their paces to minimise quality issues, and that's good news (fingers crossed). Speaking of the 650 twins, what if the Chennai-based manufacturer made plans to introduce a Himalayan 650 to spice things up? A powerful engine, better mechanicals, and quality parts would do wonders for the homegrown adventure tourer. 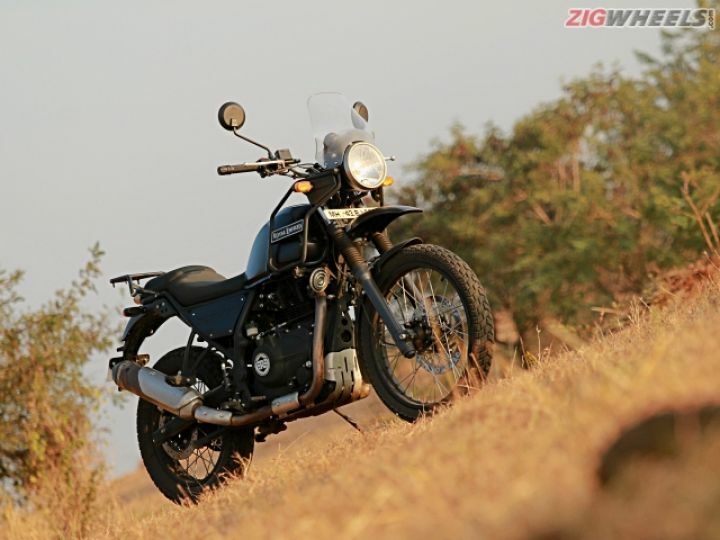 And, here’s why we think Royal Enfield should enter the ring with a bigger 650cc Himalayan. The design of the adventure tourer may be orthodox for many, but it proved to be purposeful in many ways. In other words, minimal bodywork coupled with simple surfaces is a lot easier to maintain, modify and even inexpensive to replace in case of a fall. More doesn’t always mean better. Furthermore, the purposeful design goes with the design language the company follows. If RE decides to bring a 650cc Himalayan, we won't be surprised if the firm carries forward some design elements including the mounting points, tail luggage rack and the instrument console. The bigger, badder 650 could also use a projector headlamp unit for better illumination and an adjustable seat height, which will make it accessible to more riders. The torque-biased engine used in the Interceptor 650 and Continental GT 650 would make for a perfect upgrade over the existing 411cc motor used in the Himalayan. What’s more? The 650cc mill features a balancer shaft to iron out vibes, which means no more rattling of bones once you hop onto one of these bad boys. The 648cc, air-oil cooled, parallel-twin motor makes 47.6PS of power at 7100rpm and 52Nm of torque at 5250rpm. Additionally, the engine comes mated to a 6-speed slip-assisted transmission, which can be tweaked to improve the Himalayan’s tractability. A bigger fuel tank compared to the 15-litre one available on the current Himalayan would just sweeten the deal even further. The existing split-cradle frame is already well suited for off-road riding. The bigger Himalayan too could carry the same split-cradle frame forward, but with extensive modifications to accommodate the parallel-twin engine. Thicker 43mm front forks with the same 200mm of front suspension travel would do wonders. Same goes for the rear link-type monoshock which could be carried forward from the current Himalayan with 180mm travel. However, the suspension would need to be tuned for heavier payload. We would also like RE to equip the bigger Himalayan with 320mm front and 240mm rear disc brakes from the 650 twins as well. While both the Interceptor 650 and Continental GT 650 come with dual-channel ABS as standard, the option of switchable ABS for the Himalayan would be appreciated by experienced riders. I mean, who doesn’t like sticking the tail out whenever permissible? As for the tyres, the ones available on the Himalayan would do just fine. Or maybe, some dual-purpose Metzelers if we were to get a little greedy. Given the number of changes we wish for, pricing the Himalayan competitively shouldn't be a challenge for RE. Equally important is the part where the firm ensures delivering a quality product that's on par with what’s already available in the market. All things considered, we suspect the bike to command a premium of around Rs 50,000 over the expected Rs 3.5 lakh ex-showroom price of the 650 twins. All this is just hypothetical at the moment, but we really hope the top folks at Royal Enfield are listening.